Great Rates for Tennessee Truck Insurance Are One Call or Click Away! Are you searching for Commercial Truck Insurance in Tennessee, Georgia, Florida, Kentucky, Ohio, Indiana, Minnesota, or Michigan? If so contact Pathway Insurance by calling 1-800-998-0662 Monday through Friday 9 AM to 5:30 PM Eastern standard Time to speak with one of our licensed representatives. Pathway Insurance is a leading Insurance Broker offering Commercial Truck Insurance in Tennessee and seven other states mentioned above directly seven days per week. Commercial Truck Insurance Quotes are also available by means of our agent referral network in all 50 states. 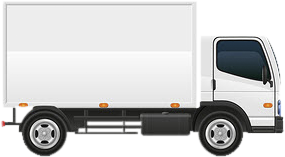 We offer commercial truck insurance for any type of business including Long-Haul Transportation, Hazmat Transportation, Tennessee Cargo Insurance, any type of Auto Repair or Body Shop Garages including Towing Operations, Moving Companies, Dump Trucks for Sand and Gravel or Debris Removal, Tennessee Non-Trucking Liability Insurance and Bobtail Insurance. Additionally a new insurance underwriter is offering Tow Truck Insurance in Tennessee as well as Tennessee Semi Truck Insurance, but there are some conditions that we will consider in just a minute. Tennessee Semi Truck Insurance – New Program & Great Rates! If you’re looking for a better deal on Semi Truck Insurance in Tennessee you should call Pathway Insurance immediately! A national insurance underwriter is offering super competitive rates for Owner Operator Insurance in Tennessee but there are certain conditions you need to meet in order to qualify. What Are the Conditions for This New Tennessee Semi Truck Insurance Plan? Your trucking company must be in business under the same management for at least two years of continuous operation, have no lapse in your Tennessee Commercial Trucking Insurance, employ drivers with good driving records, have few if any safety violations, claims, or accidents depending on the size of your fleet, and provide proof of vehicles no longer under your authority or lease. To qualify for this program you will need to send us your most recent declaration page including all listed trucks, drivers along with their full name, and driver’s license number. Who is not eligible for this new Tennessee Semi Truck Insurance Plan? If You Are Eligible for This New Tennessee Semi Truck Insurance Plan You May Qualify for a 40% Reduction in Price! This program is available for single tractor-trailers and fleets (hazmat is not accepted). Agents are available online seven days per week to provide quotes, issue policies, accept payments with some of our insurance underwriters, file claims, issue certificates of insurance, add or replace new vehicles, and answer questions about your account. We are the only insurance broker in the country (that we are aware of) open seven days per week to serve your Commercial Truck Insurance needs. If you do not qualify for this program we will shop your account with our network of other Tennessee Trucking Insurance Companies. Tennessee Tow Truck Insurance – Big Savings for Qualifying Companies! If you own a Garage, Car Dealership, or you offer Towing Services only, a new insurance underwriting company wants to bid on your business when you are shopping for Tow Truck Insurance in Tennessee. If you are currently paying $30,000 per year for your Tennessee Tow Truck Insurance your rate could be reduced to as little as $15,000* per year for the same coverage. We’ll take a few moments to explain the program. Keep in mind not all will qualify for this new program but may qualify for other competitively priced Tennessee Tow Truck Insurance Programs. Who Qualifies for This New Tennessee Tow Truck Insurance Program? Who Will Not Qualify for This Tennessee Tow Truck Insurance Program? This preferred insurer will perform a physical inspection of your location and your power units and can reject the applicant in the event that they do not meet all of the necessary criteria. In the event your company is rejected any premiums deposited will be returned on a prorated basis. Prorated means a partial refund will be returned to the applicant. What Steps Can You Take to Obtain Low-Cost Tennessee Truck Insurance? One of the most important steps you can take is to provide full disclosure to us as we are acquiring information for Commercial Truck Insurance Quotes for your company. Insurance companies will reject applicants and blacklist companies for life when they are given misleading or incorrect information from the applicant that results in a premium rate artificially lower than intended by the company due to misstatements on the insurance application. For example: One owner operator with two trucks under their authority purchased a tractor-trailer insurance policy in one state where the premium rates are low when the company was actually based in another state where the premium rates are significantly higher. When the insurance company learned of this falsification by the policyholder they immediately canceled their Commercial Trucking Insurance Policy and placed this policyholder on a do not insure list (they are permanently blacklisted by the company). Because of advances in database technology insurance underwriters now have access to DOT inspections and reports in real time and will catch companies that are attempting to hide drivers, vehicles, or the location address of the trucking company to minimize premium charges. There are a number of other steps you can take to keep your Tennessee Tow Truck Insurance rates low. Click on Improve your Credit Score to learn the second step. Super Low Rates for Tennessee Truck Insurance Are One Call or Click Away! If you’re looking for a great deal on commercial truck insurance in Tennessee there is only one number you need: 800-998-0662. *Not all will qualify for this program or save money. This program is not available in all states. Want great rates on Tow Truck Insurance in Tennessee? Call Pathway Insurance toll free at 1-800-998-0662 or submit a request for an online quote 24 hours a day, 7 days a week. Finding a company willing to insure moving trucks can be difficult. Pathway Insurance offers great rates on moving truck insurance. Call us today at 1-800-998-0662 to speak with one of our experienced agents. 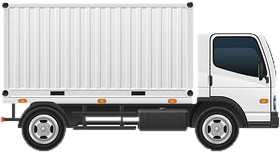 Searching for better rates on dump truck insurance in Tennessee? We offer commercial insurance for dump trucks employed by sand and gravel companies, excavation companies, debris removal companies, and more. Call 800-998-0662 to speak with an agent today. Need cargo coverage? Cargo insurance is available from top-rated companies in Tennessee. Call 1-800-998-0662 and our agents will help you find the coverage you need. Insurance for owner operators, both single and fleet vehicles, is available in Tennessee, Michigan, Ohio, Indiana, Kentucky, Minnesota, Georgia, and Florida. Contact us at 1-800-998-0662. Looking for Non-Trucking Liability Insurance, also known as Bobtail Insurance? The agents at Pathway Insurance are here to help. Give us a call at 1-800-998-0662 to talk with a representative today.